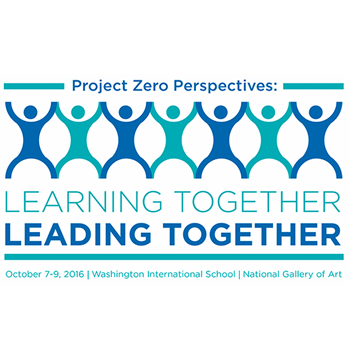 This autumn, join educators from around the world for the Project Zero Perspectives conference in Washington, DC. With the theme Learning Together, Leading Together we will explore strategies for deeply engaging students and for promoting a classroom culture that values thinking and global-mindedness. The two-and-a-half day conference will offer both large and small group settings for these explorations.